One can't think of summer without mangoes. 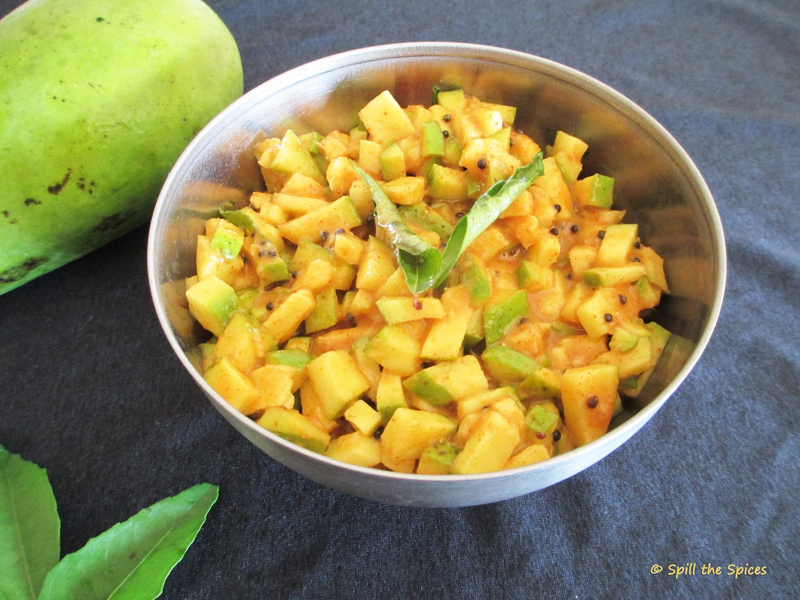 Its the season when you get mangoes in abundance Another thing linked to mangoes is pickle. Different types of pickle are made using the variety of mangoes available during this season. I'm sure this you can find this instant mango pickle in almost all households during the mango season. 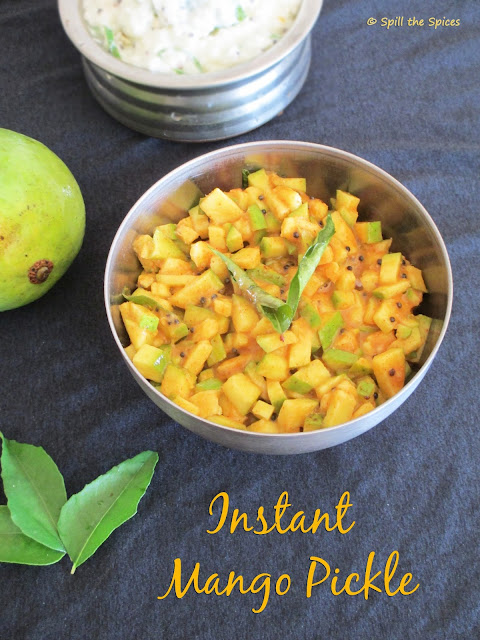 Its a simple and instant pickle that can be made in minutes. The roasted and powdered fenugreek enhances the tastes of the pickle. It stays fresh for 3-4 days when refrigerated. 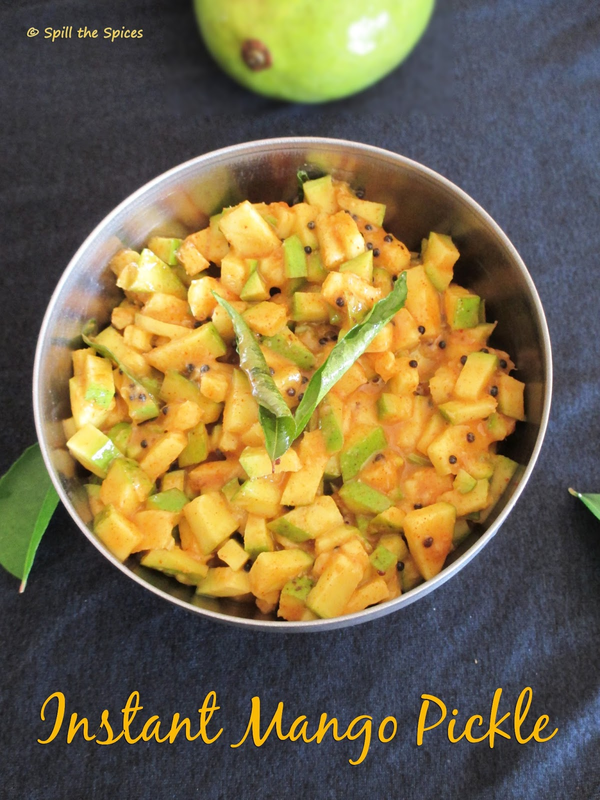 Enjoy this yummy tangy pickle with curd rice! 1. In a pan, dry roast the fenugreek seeds and powder them using a mortar and pestle. 2. Chop the mangoes into small pieces. Add salt, red chilly powder and fenugreek powder. Mix well. 3. Heat oil and add mustard seeds. When it pops, add hing and curry leaves and pour over the pickle. Mix well. 1. Adjust red chilly powder according to your taste. 2. Use less sour mangoes for the pickle. 3. Refrigerate and use within 3-4 days. I made it over the weekend. Love the tangy ness of the pickle! love the tangy flavors,tongue tickling one! !